Located on the Caribbean coast of Honduras and surrounded by national parks, the city of La Ceiba is considered as the capital of the Honduran eco-tourism. 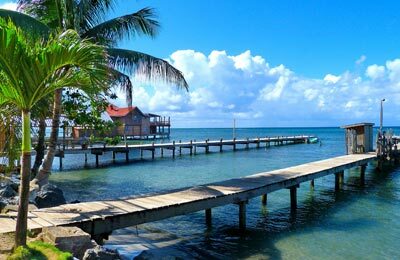 From here you can take the ferry going to Roatan. La Ceiba is also a very important fruit exporter, mainly of bananas, pineapples, and Grapefruits. The surrounding area is full of tropical forests, mangroves and the Cangrejal river, famous for its white waters that are enjoyed by lovers of rafting and kayaking. It is possible to find many hot springs in Honduras and one of them is in La Ceiba, which is home to the National Park of Nombre de Dios. If the springs are not your thing, you can find restaurants on the shore of the Caribbean Sea where to enjoy a fruity drink while you admire the beauty of these waters. It worth to mention the famous Ceibeño International Carnival which takes place in La Ceiba each month of May in honour to San Isidro Labrador. Parades, coronation of the Queens of Carnival, cultural activities, processions and much more await you in la Ceiba! Below you can find all the La Ceiba ferry timetables, journey times as well as our best prices. 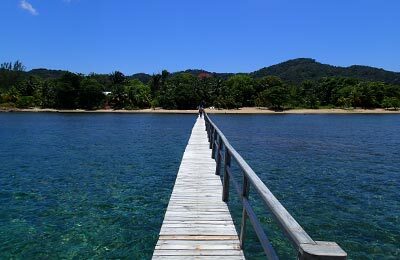 Roatan Island Ferry offers a wide variety of services and facilities. On board the Galaxy Wave you will enjoy beautiful views and a smooth journey. There is no free parking, but your vehicle can be parked at the main parking of the port for approximately £4 a day. There is a café-restaurant that serves snacks, breakfast and lunch in the ferry terminal at La Ceiba. It only accepts cash (USA Dollars or Lempiras). There are also other services available, such as ATM cash machine, TV, toilets, air conditioning, and outdoor waiting area.